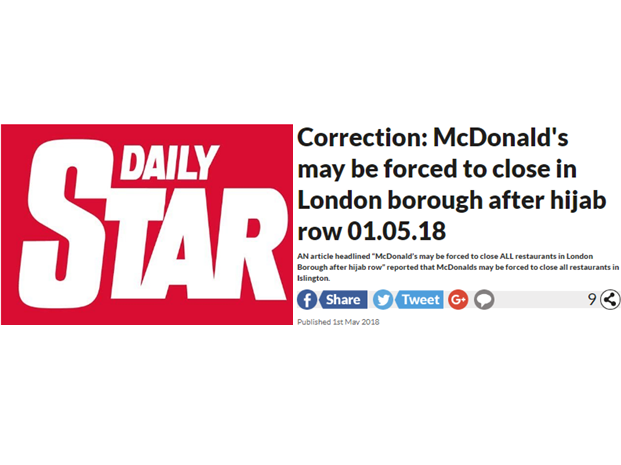 The Daily Star has been told to publish a correction for an article wrongly claiming that a “hijab row” would force all McDonald’s restaurants in a London borough to close, despite councillors having contradicted the claim. The story, headlined: “McDonald’s may be forced to close ALL restaurants in London borough after hijab row,” was published on 11 December 2017 on the paper’s website.  Miqdaad Versi complainted to press watchdog the Independent Press Standards Organisation that the headline of the article was unsubstantiated by the rest of the text. A statement from Islington Council that was published in the original article appeared to directly contradict the headline. 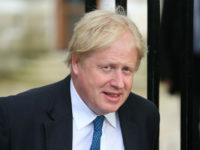 IPSO found the article to be in breach of Clause 1 (accuracy). 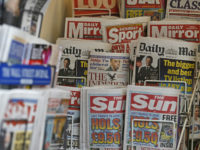 The Daily Star said the headline was amended three hours after publication, because an editor was concerned it did not reflect the full facts of the story. However, ISPO ruled that both headlines had falsely reported that McDonald’s could be forced to close restaurants in the borough.